It has become a conventional wisdom in the world of perfume lovers that the large houses are often constrained by iron logic of the stock market. The logic dictates the production of fragrances that should appeal to as large number of people as possible in order to boost sales. Yet, to paraphrase John Stuart Mill, the common mean between creative excellence and wide appeal is often a “collective mediocrity.” Needless to say, as in almost every case, there are exceptions. However, it does not stop a fragrance consultant with an appreciation of beautiful things from thinking up a clever scheme—give nine of the most famous French noses as much creative space as they need to compose a fragrance of their dreams. 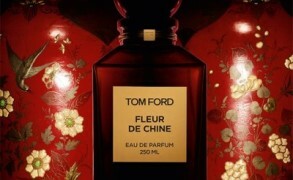 There are few limitations in terms of price of the materials and the theme of the perfumes. Frédéric Malle, grandson of the creator of Parfums Christian Dior Serge Heftler and nephew of the film maker Louis Malle, was born in 1962 in Paris. A self-proclaimed hedonist with a love for lilac, Joël Robuchon’s cuisine and Bach suites, he recalls that his love for beauty was fostered by his parents, especially by his father. “I am a sensual person,” says Malle in an interview. “You have to know how to look, smell and feel things.” Malle started working for Roure Bertrand Dupont in 1988, after finishing his degree at the New York University. Before starting Editions de Parfums in 2000, Malle was working as a fragrance consultant for Christian Lacroix, Chaumet and Hermès. Unlike the common practice in the world of fragrance, Frédéric Malle places the perfumers in the spotlight. Every bottle is prominently labeled with the name of the artist responsible for the scent within. What is the result of the “auteur perfumery?” If Frédéric Malle Editions de Parfums were paintings, they would be more suited for Center Pompidou than for Louvre, because they are truly modern compositions, even though many are classically composed, respecting the tri-tiered construction model. Such is Pierre Bourdon’s Iris Poudre, a composition capturing the scent of irises held close to the beautiful chest covered with a thin layer of powder. 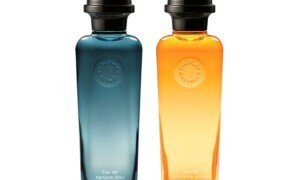 Other fragrances are conceived in a more linear style, minimalist and elegant as the lines of Giacometti’s sculptures. Cologne Bigarade created by Jean-Claude Ellena is a reflecting his predilection for clear and strong lines bathed in soft light. One thing is for certain—these fragrances must be sampled. Carnal Flower will be released in September of 2005 and will feature notes of tuberose, orange blossom, coconut and camphor. According to Frédéric Malle himself, it is the ultimate seduction perfume. 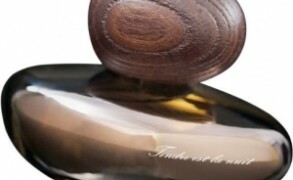 The first Editions de Parfums Frédéric Malle boutique was opened in 2000 at 37, rue de Grenelle in Paris. Its interior, conceived in a collaboration with Andrée Putman and designed by Olivier Lempereur, is marked by clean lines and unique system of testing fragrances from olfactory columns. Although it is quite an interesting way of experiencing scents, I much prefer the traditional skin test. In addition to another store on Avenue Victor Hugo, which opened in 2004, Editions de Parfums line is available at Taizo in Cannes, Dries van Noten in Antwerp, Natan/Treize in Brussels, Barneys New York, Isetan in Tokyo, and at Flinders Way Boudoir in Melbourne. One of the most appealing additions to the line is a test kit, which contains 5ml atomizer bottles of each fragrance available. Tester kit and the fragrances along with the ancillary products are available online at Editions de Parfums site. parislondres: Dear V! I have tried all the perfumes listed but sadly got bored with the ones I liked PdT, Brigarade (both), Noir Epices, En Passant, Angeliques, L’eau d’hiver and Musc Ravageur and have given most of my bottles away. I did hear about the tuberose fragrance a few months ago and I do hope that it will be a beauty and most importantly that I will not get bored with it. Victoria: Felicia, I adore tuberose, and another fragrance sounds great! I think that Ropion does big lush florals well, i.e. Givenchy Amarige. I would suspect that the fragrance will have the same softness as others in the line, meaning that it will not hit you over the head with the big sharp notes. Well, we shall certainly see. Neela, I recently tried L’eau d’Hiver (after you mentioned it elsewhere), and I fell in love with it. You were right about its quiet softness, hiding a lovely violet note. It is definitely one of the favourites from the line. Of course, it resembles another great love of mine–Après l’Ondée. Laura, there are not that many well done tuberose fragrances, therefore I am excited. However, I promise not to wear it around you, my pesky tuberose hater! 🙂 As Felicia said, a line seems incomplete without one. To my tastes,i am still searching for the one i could love forever from MALLE’s boutique. L’eau d’Hiver is sweet,gentle,yet warm and romantic. In france we say it is a “doudou fragance” which means a scent so comfortable to wear and delicate that it reminds us the little things children love to embrace to feel protected when they sleep(like a mother’s clothe,something like that). The rose is powerful,pure and majestic in its way to be a “ground rose” with an aroma of wine and Truffe. The only rose i think could perfectly suit a man. Iris Poudré is a kind of chanel Numéro 5 with an oriental background. Elegant,sophisticated…the aldéhydes are not disturbing.Also a good way to call it an aldéhyde fragance or the chanel N°5 for Men. Noirs épices is very spiced fragance…reminds me of coco with the indecence of spices from POIVRE of CARON. Then,i don’t know enough the others fragances to talk about them. Let me know what you think about my descriptions,i can’t wait reading your comments on them,your vision is always an inspiration for me,dear Victoria. And of course,as always,thanks for your post. Malle really deserved it,you made it so wonderfully. Victoria: J, thank you for these wonderful descriptions. I love that you describe Iris Poudré as Chanel No.5 with an oriental background, which is also the way I think about it. The top notes of aldehydes meld into a floral heart in a way that does recall No. 5. It is one of my favourites. I will post other reviews over the course of the week, and as always, it is great to hear your thoughts. julien: Well..now i guess we share many tastes together. Iris Poudré is my favorite one from MALLE. Let’s see your post about it.